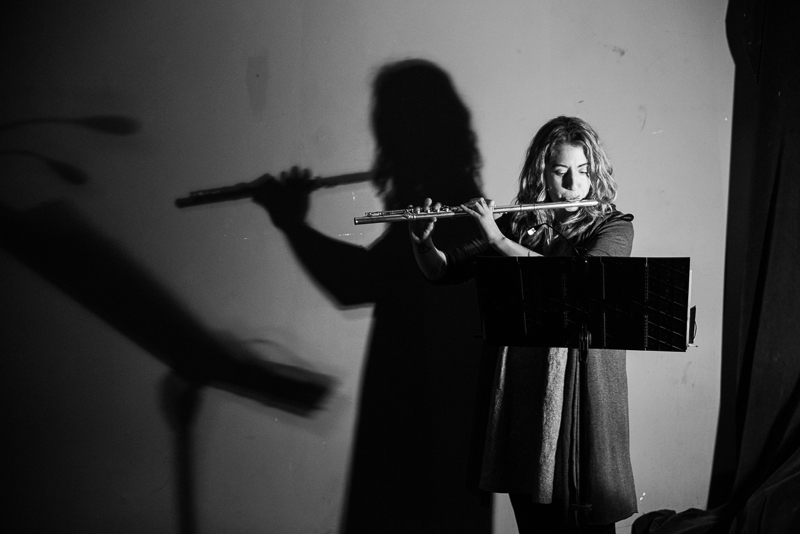 Christine Tavolacci is a Los Angeles based flutist and educator specializing in contemporary and experimental music. She has traveled across the United States and Europe to study and perform, and has had the pleasure of working with many celebrated 20th and 21st century composers, such as Christian Wolff, James Tenney, Larry Polansky, Clarence Barlow and Jurg Frey. Christine has been involved in the premieres of many new works, including those by Alvin Lucier, James Saunders, Michael Pisaro, Chiyoko Slavnics, and Catherine Lamb. Christine is active as a soloist, improviser, curator and chamber musician both in California and internationally. She is co-founder and co-director of Southland Ensemble, as well as a member of the Dog Star Orchestra, Gurrisonic, and the Vinny Golia Large Ensemble. Her playing has been released on Orenda Records, Slub Music(Japan) and Tzadik. She has been a guest lecturer at both UCLA and CalArts, an associate instructor at UC San Diego, and has taught several workshops on contemporary music to children of various ages. In 2006, Christine received her BFA in flute performance from California Institute of the Arts. She has also received her Diplôme de Specialisation with mention trés bien from the Conservatoire National de Region Strasbourg in Strasbourg, France, where she studied flute with Mario Caroli from 2006-2008. Christine will complete her doctorate in contemporary flute performance at the University of California San Diego in the spring of 2016.